Mr. Ryan mediates contract and employment disputes. He has an active law practice where he represents both employers and employees and is acutely aware of the ever-evolving landscape that is Employment Law. Mr. Ryan has a unique lawyer mediator background, after undergrad he spent over a decade working for small companies and major corporations. Jorden gained experience in business negotiation working on international projects for IKEA, Wal-Mart, Sam’s Club and various suppliers. He has practical business knowledge in logistics, inventory software, product development, sourcing, sales, and marketing. Mr. Ryan believes that having such a variety of work experience brings an invaluable understanding of both the employer and employee that can only be gained by working as a non-attorney. non-compete, severance pay, and other employment-related torts. --REDUCE- using tools to analyze and identify the organization's trouble areas and prevent problems before they happen. Often, even businesses that have made the commitment to use some form of dispute resolution planning still appear to use dispute resolution techniques reactively, rather than preventively. --MITIGATE- once conflict occurs, early detection and reaction are essential--don't let the problem fester and become toxic to the organization. Use expert assessment and evaluation to promote early settlement. --RESOLVE- the key to any conflict management system is a Dispute Resolution Program (DRP) that meets the individual needs of the company. Whether you choose negotiation, neutral fact-finding, Ombuds, peer review, mediation, arbitration or litigation, our program ensures that best practices are used. As a mediator, Mr. Ryan’s philosophy is to allow parties to obtain a solution that can meet the needs of both parties. Having studied law in Barbados, Ireland, and in the United States, his experiences have influenced his ability to understand people with diverse views and objectives. Mr. Ryan is a Missouri licensed attorney and an approved mediator in Missouri and Kansas. 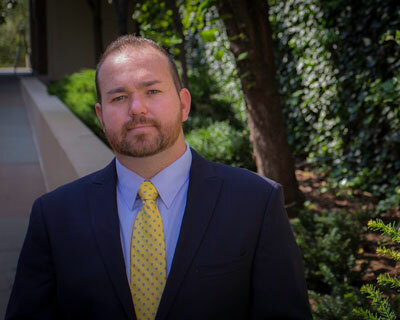 Mr. Ryan received his Bachelors in Business Administration from Pittsburg State (2003) and his Jurist Doctorate (2013) from Washburn School of Law.